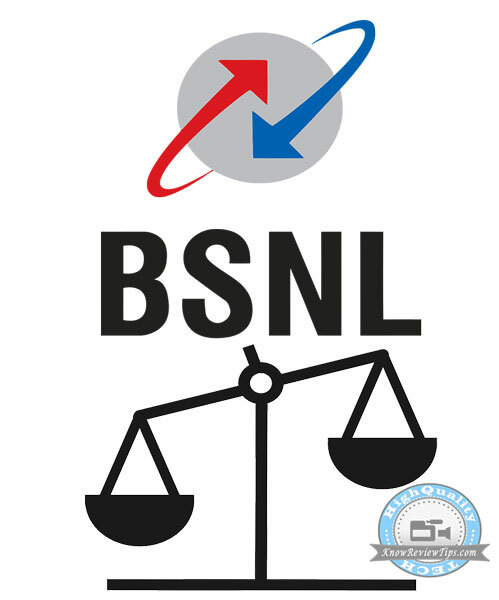 Know how to check BSNL 2G/ 3G Internet Data Balance (remaining net balance in MB or GB). Bsnl is very popular Internet Service provider in India. It offers 2G / GPRS / 3G internet plan / packs at very affordable prices. It was earlier known as CellOne Many peoples don’t know how to check bsnl data balance net usage and Validity from your mobile phone or data card ( postpaid or prepaid ). If you want to check Account Balance then there is different USSD code / number for this purpose. Bsnl recently launched Unlimited 3G internet data pack at RS 1099 without any speed restriction for 30 days. Not just in prepaid sector but in broadband sector as well, Bharat Sanchar Nigam Limited launched Unlimited broadband plan at RS 249. To Check / find your BSNL account Balance and Validity information dial *123# from your mobile / dongle. You can also dial 123 to know / check your balance and validity on the IVR / Voice call. To check the left Internet usage or for internet balance inquiry you have to dial numbers / USSD Code given below. To check BSNL remaining Internet Data Balance in MB/GB and validity, follow the below steps. Other way is to dial *123# and follow the Menu to check current traffic plan or for STV enquiry. So the above ussd code should work properly in Punjab, Uttar Pradesh, Jammu and Kashmir, New Delhi, Chandigarh and Haryana. To get net balance information in Kerla, Tamil Nadu / TNor in Chennai dial *124*1# or *124*4#. For checking BSNL net balance in Chhattisgarh, MP, Maharashtra, GOA, Rajasthan dial *121#. If you are still unable to know you Internet balance then simply dial *123# and then follow the pop-up menu on your mobile screen. Select the appropriate choice by entering the number in the input field. We hope now you can check your net data Balance of BSNL SIM card ( postpaid / prepaid ). You can also Check internet balance online from BSNL portal, if you are their data card user. How to checks the data balance to the bsnl in Jaipur; 302020 (Rajasthan) respectively 2G & 3G . Tell me the USSD code of the 2G & 3G and night data/ promo balance respectively. Hey, The data balance ussc code has changed for BSNL. It is *123*16# now. Just wanted to update you on that. May be helpful for some people. Bsnl in maharashtra (pune)for enquiry of data pack uses.for enquiry called customer care no1503 but it is totally hopeĺess &continuously recorded Voice getting.No operators are available last three days.as we have tried to get the data Balance through*112# but failed.pl.send option. I am now in US. I have BSNL prepaid mobile. How to check whether it is working & the balance. Since #123 will not work from USA, kindly help. You can check Balance by registering your number at BSNL Customer care portal online.